Your privacy is at risk whenever documents are thrown in the trash. The only way to keep information secure is to shred documents before they leave your control. Remember, shredding is standard office procedure and Intimus shredders have been the industry’s quality standard for over 30 years! There are many reasons to shred… to protect your company’s financial information, to safeguard private information that you are mandated to protect and to keep personal information confidential. Whatever the reason, you can depend on Intimus shredders. Intimus shredders blend harmoniously with their office surroundings: modern design, trendy colours, compact and quiet. Thus they enhance rather than tarnish any office or department. 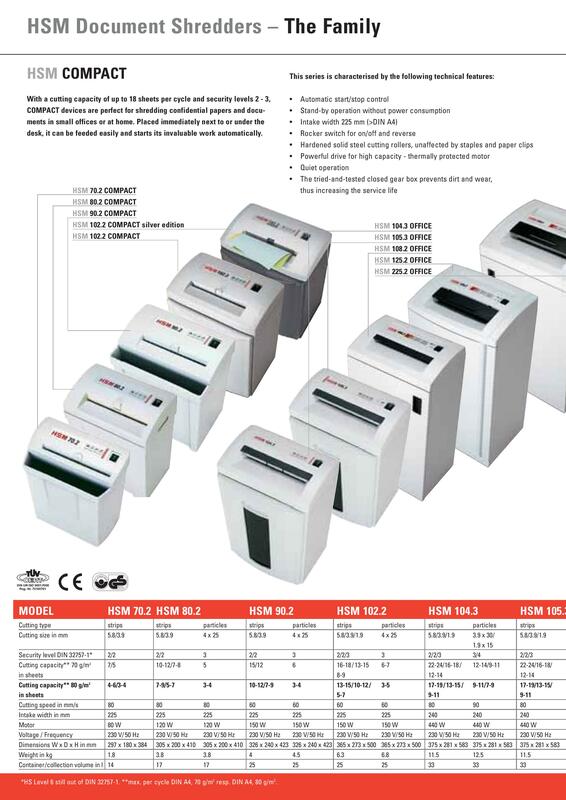 Trendy design, cost-effective technology and simple, but safe operation – the Intimus range of data shredders guarantees that these criteria are met perfectly. Martin Yale Industries, Inc. has developed and built data shredders for over thirty years. The company’s innovation strength and readiness to find special solutions is documented by the large number of patents held.